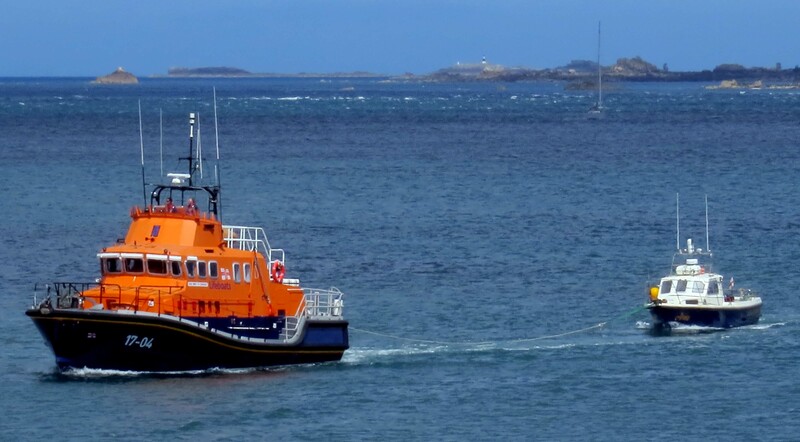 The St Peter Port Lifeboat was tasked yesterday afternoon to go to the assistance of a 31’ vessel “Avanti” which was experiencing fuel problems, with 6 persons on board, 5 miles North of Guernsey. The Spirit of Guernsey was on exercise in the Little Russel when it was diverted to assist Avanti at 13:30. 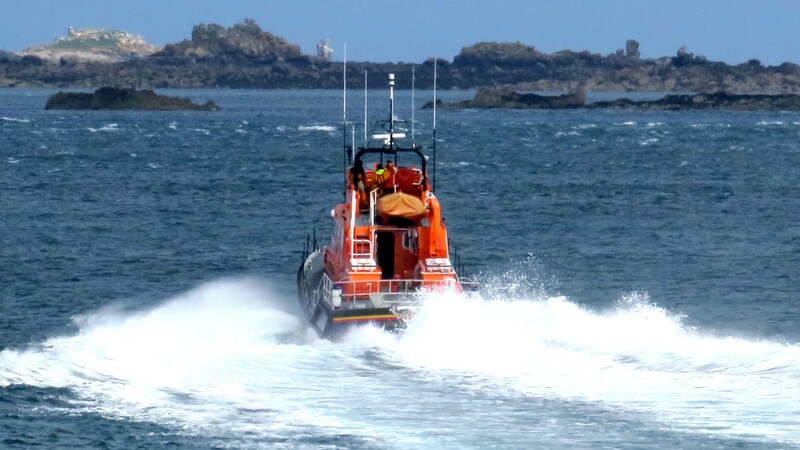 The lifeboat was on scene at 14:20 and took over casualty in tow, arriving safely back at St Peter Port at 14:55. 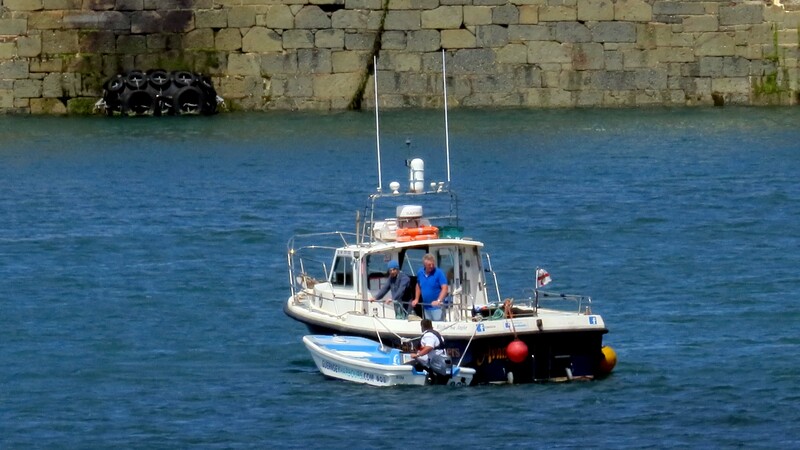 The Guernsey Harbours Marina Dory alongside the Alderney registered Angling Vessel Avante after the vessel had been towed into St Peter Port harbour by our Lifeboat Spirit of Guernsey. The veesel was then taken to number 1 Ro- Ro Ramp. 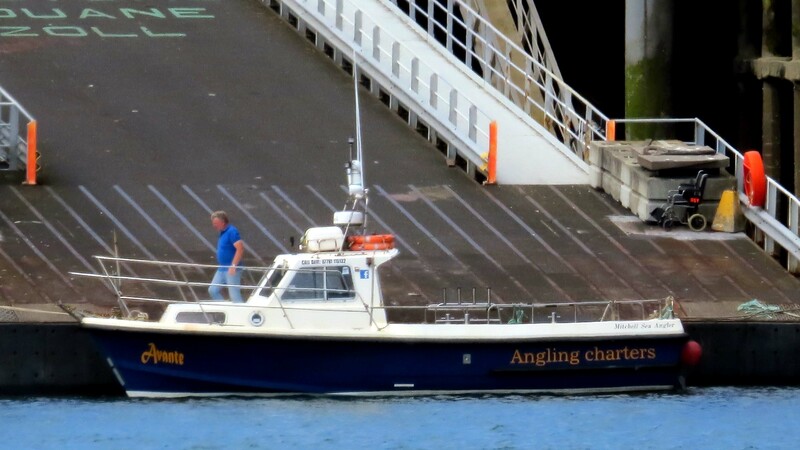 The Alderney registered Angling Charters vessel Avante moored alongside number 1 Ro-Ro ramp after being towed into St Peter Port by Lifeboat Spirit of Guernsey. Lifeboat Spirit of Guernsey arriving at St Peter Port harbour towing the Alderney registered Angling Charters vessel Avante which had broken down north of Herm whilst on passage from the northern Isle to Guernsey. Lifeboat Spirit of Guernsey heads north up the Little Russel at Full speed to rendezvous with the Alderney registered Angling Charters vessel Avante which was in need of assistance whilst on passage to St Peter Port.